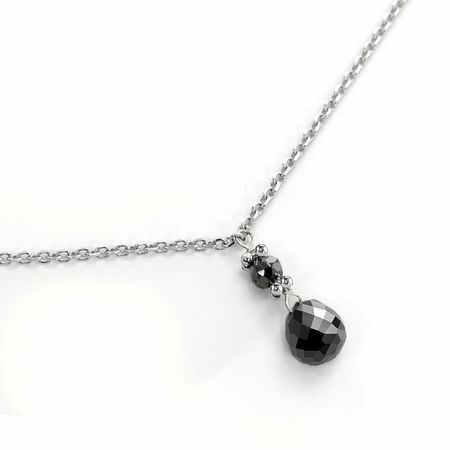 This delicate tear drop black diamond necklace is simply sweet and understated. The briolette diamond on the bottom is approximately 6 x 4mm and flashes light from all directions. 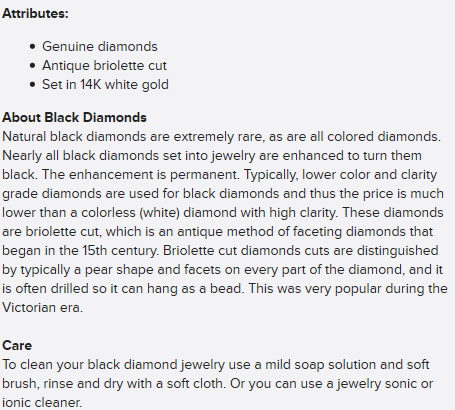 Notice also there is a small black diamond accent set right above the briolette dangle. Perfect for everyday wear or in your black evening dress!